The Prostate Clinic on the Gold Coast, is backed by leading urologist, and pioneer in the industry, Dr. Charles Chabert. Dr. Chabert recently established the first MRI/UltraSound fusion biopsy program in Queensland Australia. The Prostate Clinic are the first to utilise one of the most sophisticated devices of its kind, the Artemis. Due to the nature of The Prostate Clinics work, Dr. Chabert was eager to ensure that his content was reaching his Australian market. He is dedicated to educating more people about the prostate. This Australian web design was not mobile friendly, which was creating a hindrance to those on mobile devices. We needed to make research about Australian men’s health as easy as possible. We needed to encourage more Australians to become involved and educated on the topic. Additionally, given Dr. Charberts time in the medical industry, the website had accumulated years of quality content. We needed to ensure that the content was structured in an easy to navigate manner, due to the complexity of the topics and medical terms involved. Grouping content as logically to a non-medical professional as possible. 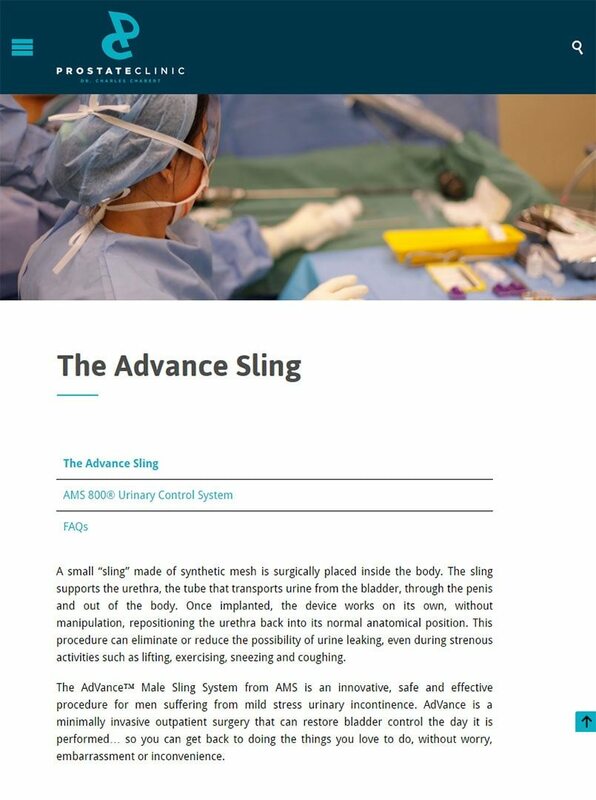 Our next challenge was in continuing The Prostate Clinics existing organic Australian SEO efforts, when launching the Australian web design, under a new company name and domain name. This was achieved alongside Google’s best practises, while also enhancing Dr. Chaberts Australian SEO efforts in an attempt to share his research with more individuals. The final piece was based around an easy to use knowledge base of frequently asked questions and answers. 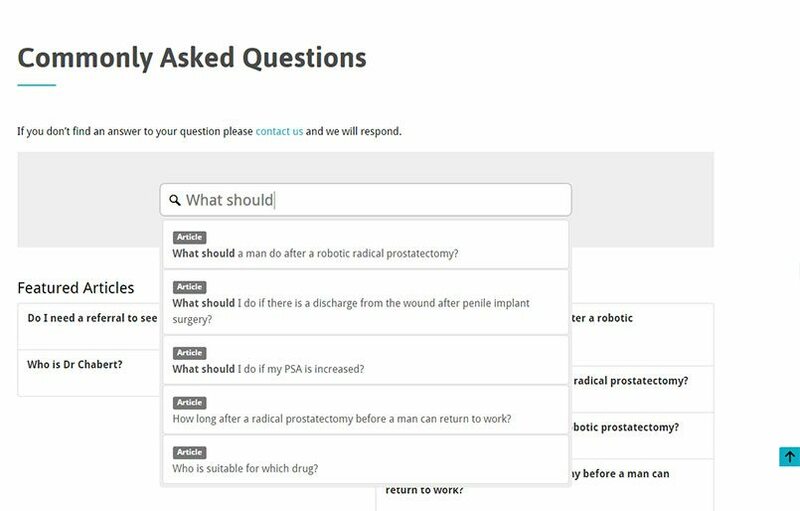 The use of Auto Suggest was included, showing a list of suggested questions as they’re typed, offering a more seamless search for answers.